Which games are you thankful for? For me, I would say Okage: Shadow King is up there. I bought a PlayStation 2 back in the day for Final Fantasy X, but immediately looked for a few other RPGs to go with it. Since I was working within a budget, I turned to an affordable, preowned game called Okage: Shadow King and was not disappointed. Fortunately, you can have a similar experience, as it is available as a PS2 Classic on the PlayStation 4! Let’s get possessed. In most RPGs, perhaps even games in general, you tend to expect to follow someone who is notable and special in some way as they shape the world. Ari is not special. He is so bland, most people forget he even exists. Except one day, he is unavoidably thrust into the spotlight. After his sister Annie is afflicted with the Pig Latin curse, everyone in the family offers up their shadow to Great Evil King Stanley Hihat Trinidad XIV, so he can be freed from his sealed bottle and reclaim his rightful position as Evil King of the world. Everyone’s shadow is examined, Ari’s “wins,” Annie is cured, and Ari and Stan head off on a quest around the world to defeat the false Evil Kings that have stolen Stan’s powers. 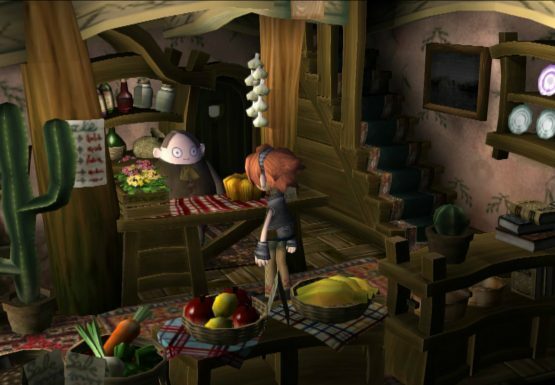 From there, Okage: Shadow King follows the typical turn-based RPG formula. Ari and Stan find different characters on their journey, with many of them starting out as enemies. For example, Stan’s influence can alter the color of someone’s shadow. (Annie has a pink shadow as a result of her cure.) In the past, he tried to possess the shadow of a hero named Rosalyn. It didn’t work, but her shadow was permanently turned pink in the process. Since that led to mocking and shame, she swears a vendetta against him and is hunting him down when you meet her. The group goes after fake Evil Kings, learning truths about the world along the way. 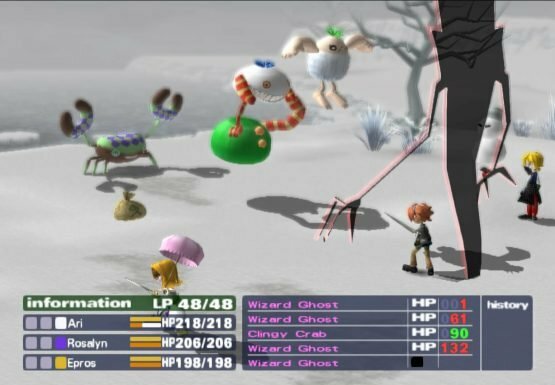 When most people talk about Okage: Shadow King, they salute its unique art direction and cast of characters who are varying degrees of creepy-cute or goofy-scary. But the way it explores people’s inner natures and the roles people fill in the world is just as important. I would even argue it is more so. We’ll avoid spoilers here, so let’s use Ari and Stan as examples to show how people can defy expectations and show who they really are inside. Ari is supposed to be an ordinary boy. He isn’t supposed to stand out. Yet, in his whole family, his shadow was the one that stood out the most to Stan. He was chosen. In addition, he also finds himself drawing the attention of a princess and becoming something of a hero. Stan is the Evil King. We keep hearing about how he’s supposed to be so bad and so terrifying. Except as part of his crusade against Evil Kings, he’s doing some pretty good things for afflicted people. Not to mention, a lot of his actions seem more annoying than malicious. As we go through Okage: Shadow King, we start to see how the game challenges our thoughts of the roles people play. Like I said a moment ago, Ari is a normal boy, but his inner courage, kindness, and determination is that of a hero. As we start to come across Evil Kings, we may find some that really aren’t that bad. They might just be trying to pursue their dreams, defy expectations, and use the stolen power they had acquired to enhance the natural qualities they already had. 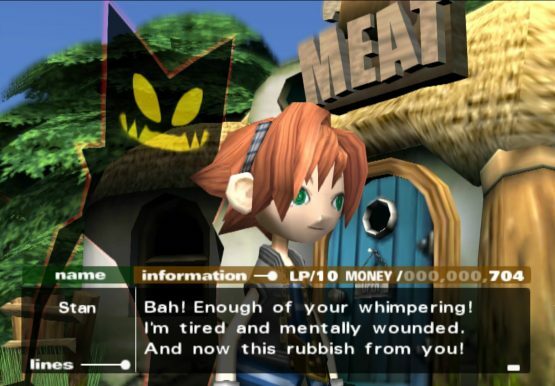 Okage: Shadow King is full of personalities. It is one of those darkly funny titles that sticks with its aesthetic and eventually surprises people with its depth. If you stick with it, which I wholeheartedly hope you do, you will find that Evil Kings might not always people and people you might not expect can become heroes. This PSOne Classic is $9.99 in the US PlayStation Store and £7.99 on the UK PlayStation Store. It’s time to restore an evil king.